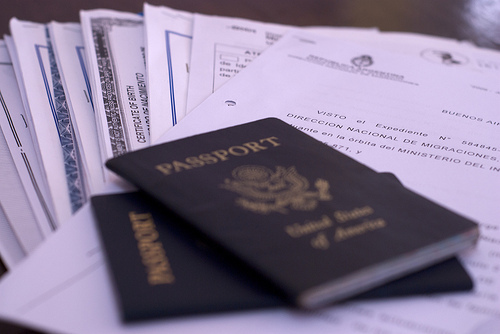 What Type Of Visa Will My Internationally Adopted Child Receive? Home / Resources / What Type Of Visa Will My Internationally Adopted Child Receive? If you are adopting a child internationally, it is likely that your child will arrive in the United States after receiving one of four types of visas. The type of visa that your child arrives home on depends on two factors. First, it depends on your child’s country of origin. Second, it depends on whether you saw your child before or at the time that the adoption occurred in your child’s country. If your child’s country of origin is not a Hague Convention country, your child will arrive in the United States on an IR-3 Orphan Visa or an IR-4 Orphan Visa. The “IR” in these visa categories are initials noting that this type of visa is an “immediate relative” visa. The IR-3 and IR-4 visas are issued to children who have been adopted abroad and are found by the U.S. Department of State to have met the definition of “Orphan” pursuant to the Immigration and Nationality Act. Children coming home on an IR-3 visa will have a different citizenship status than those children who arrived home on an IR-4 visa. Children will receive an IR-3 visa if a full and final adoption is completed abroad by both adopting parents and both parents (if married) physically saw the child prior to or during local adoption proceedings. Upon arrival to the U.S., children are considered citizens and should receive a certificate of citizenship in the mail soon after arrival home. Children will receive an IR-4 visa if the foreign country only permits prospective adoptive parents to obtain guardianship of a child or if both prospective adoptive parents (if married) have not seen and observed the child prior to the adoption process. Upon arrival to the U.S., children are considered legal permanent residents. In order for these children to receive a certificate of citizenship, parents must finalize the adoption in parent’s state of residence and file for citizenship with USCIS. First, under the “Orphan” definition, if a child has a “sole parent,” that parent must be the mother and she must be unable to care for the child. Under the “Convention Adoptee” definition, if a child has a “sole parent,” that parent consenting to relinquishment of parental rights could be the biological mother or the biological father. Second, under the “Orphan” definition, both parents must have died, disappeared, abandoned or become separated from the child or only one parent (the mother) is known and she consents to terminating her parental rights. Under the “Convention Adoptee” definition, both parents may be known, living and relinquish their parental rights, if they are incapable of providing proper care for the child. Under the “Orphan” definition, both parents cannot consent to an adoption of their biological child, like they would be able to under the “Convention Adoptee” definition. If your child comes home on an IH-3 Convention Adoptee Visa, the child should receive a certificate of citizenship in the mail and no additional paperwork needs to be completed for citizenship. If your child comes home on an IH-4 Convention Adoptee Visa, you will need to thereafter finalize the adoption in your state of residence and file for citizenship with USCIS. For more information about MLJ’s international adoption programs, please click here.